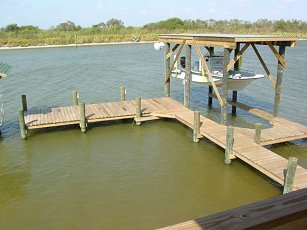 On the Water - Convenient Location! 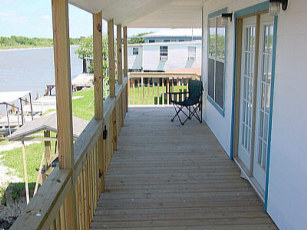 Lighted dock with cleaning table, Bar-B-Q pit, spacious upper and lower decks, lawn chairs, central heat and air and great views of the Colorado River and East and West Matagorda Bays from our decks. 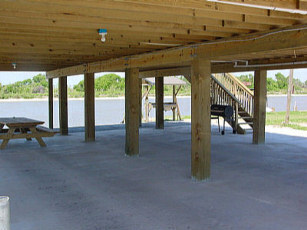 Our location puts you within a few minutes drive of Matagorda Beach. 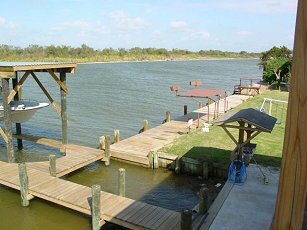 The Intracoastal Waterway and both Matagorda Bays are easily accessible by a short boat ride. 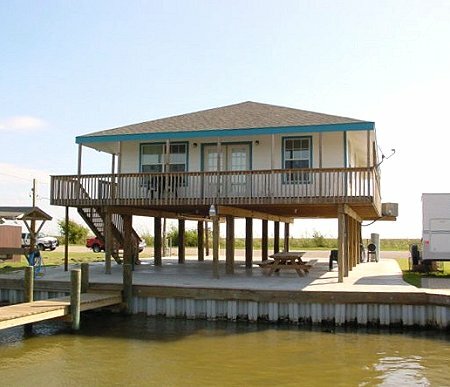 You will also be within a few minutes drive of the Matagorda Jetties, Rawlings Bait Camp, River Bend Restaurant and the town of Matagorda via State Hwy 2031. 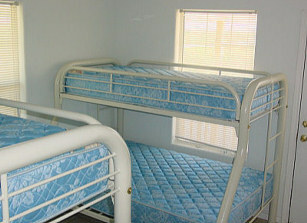 Provided: Sleeping accommodations include 3 bedrooms, sleeps 12, linens are not provided, with 2 baths. Furnishings include TV, VCR and microwave. 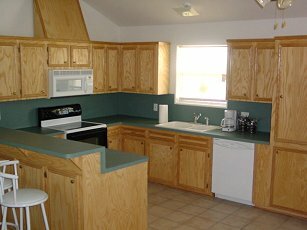 All electric kitchen with utensils and new appliances. For your convenience, there also is a washer and dryer. Not Provided: You will need to provide your own towels, bed linens, charcoal, lighter fluid, bug spray and your food. 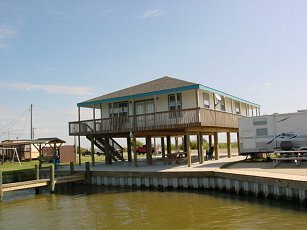 If there is something that you left at home or need during your stay, the community of Matagorda with grocery stores, gasoline, and restaurants is just a short drive away. $300 per night with a two night minimum stay. Weekly rental is $1450. Note: 6% tax is charged on rentals. A $300 deposit is required, ask for details when you call for your reservations. 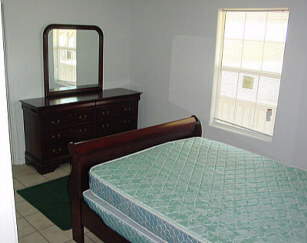 We also require a $100.00 cleaning fee, which comes out of the deposit. Please call for details and reservations. Cancellation policy..............must give 45 day writen notice to receive refund. For additional information, call 281-331-5239.